I finished! I had a lot of fun revisiting this game for the first time in more than ten years. I'm glad I got to see it again and from a new viewpoint. I also don't think I'll be replaying Final Fantasy VII again. I don't see that happening in my future unless it gets a full remake. I almost feel guilty. 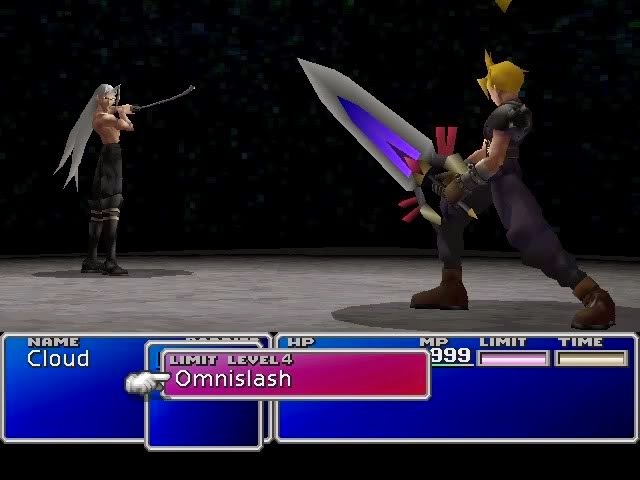 I didn't enjoy Final Fantasy VII as much as I thought I would. It's the game that got me into the Final Fantasy series. It brought JRPGs to an entirely new level. It paved the way with it's 3D graphics and Full Motion Videos. It was groundbreaking... but it doesn't hold up that well. Time has diminished it's accomplishments. Don't get me wrong, it's not a bad game. It's a GOOD game in fact. The problem is that I'm revisiting it and nostalgia had blinded me to it's shortcomings. This is still a fantastic Final Fantasy game. Out of the seven that I've played in the course of this project it's still the best. It's going at the top of my list for now. It's just not as good as I remember. It's also a game that I would never recommend to newcomers to the series. It's not a good place to start. There are too many things that could turn people away from the series forever. Mostly it's game conventions that have been updated and streamlined over the years. Going back to Final Fantasy VII feels a bit clunky. My impressions were so-so up through the beginning of disc 2 (of 3). The game really picks up after that. There are big set pieces and really cool action sequences. 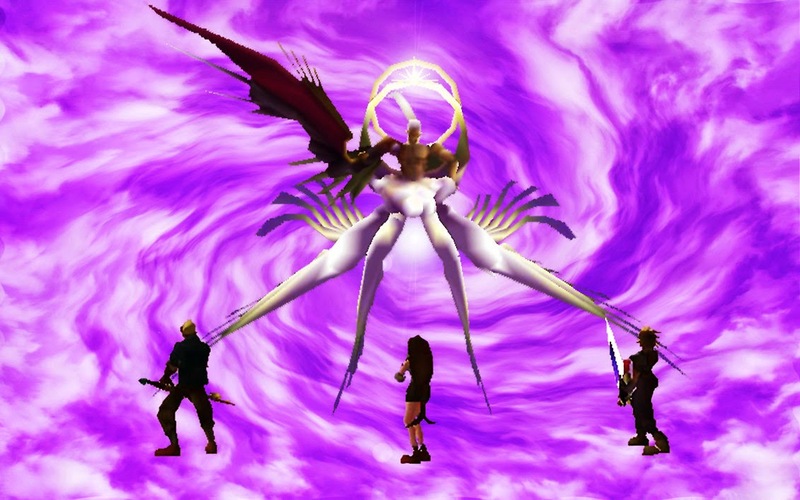 Escaping Junon, the confrontation at under the city of the ancients, parachuting into Midgar, the final battle with Sephiroth. They're all really good. The second half of disc 2 and all of disc 3 had me hooked. Once I hit that point I spent every spare gaming moment on pushing forward to the end. I can definitely say the last fourth of the game is excellent. I also enjoyed the character specific sidequests for Yuffie and Vincent. They're both fairly short, but they help flesh out the characters a little bit. I wish the game had more character specific activities and sidequests for the other characters, but it doesn't. Character specific sidequests are typically a highlight for me. I hope the next couple games keep expanding on this. I did a bunch of optional activities and exploration. I collected a handful of ultimate weapons and final limit breaks. I ended up having a lot of fun exploring the world while improving my characters. I never had to grind, although I explored a lot so my characters were decently leveled. Final Fantasy VII is a classic. It was groundbreaking at the time it was released. It redefined the genre. It's a good game. Even though it didn't live up to my memories it's still going at the top of my rankings. But, like I said earlier, it would take a remake or remaster of this game to get me to play it again.